While Deus Ex: Human Revolution became available for purchase on OnLive early this morning at 3:00 AM ET, the PC version of the game also went on sale today. 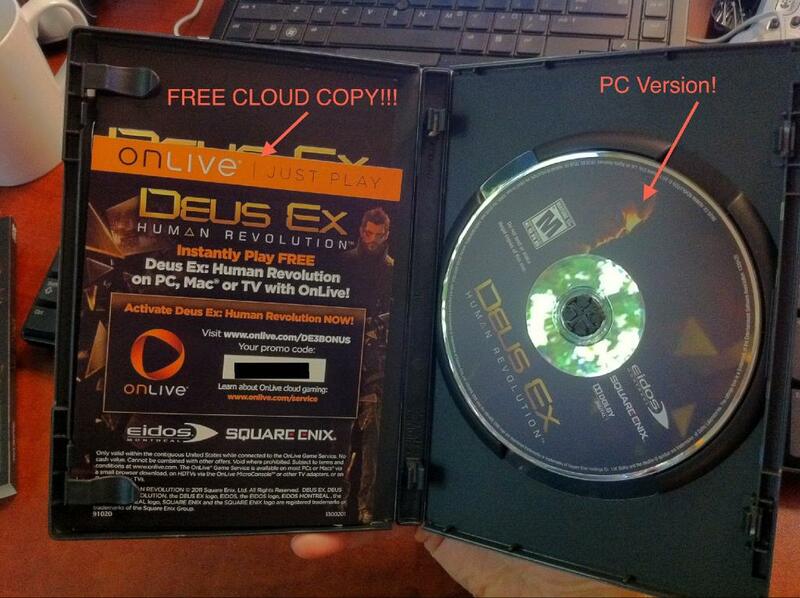 To the surprise of many gamers who purchased the PC retail packaged version of Deus Ex: Human Revolution, they are also entitled to a copy of the game for OnLive absolutely free. This means that they can play the game where ever they are, as long as they have a decent internet connection. OnLive is a cloud gaming system that allows gamers to play games such as Deus Ex: Human Revolution, with an internet connection as slow as 1mb/sec. OnLive works on PC and Mac, as well as TV’s via the OnLive Game System. It will also soon be available for the iPad and Android Tablets, as well as multiple televisions, Blu-ray players, and set-top boxes. Square Enix is the first publisher to include free redemption codes for OnLive games inside new disc purchases. Other publishers may soon follow in their footsteps. I was surprised that Buy D3 Itemsthey're however all around, after more and more people in the last ten years possess said they will in no way shop at this time there yet again. cheap Guild wars 2 Gold sense of shame upon you care-free, uninformed mothers and fathers (and also eager kids along with other fools)!